Summer just wouldn’t be complete without a fun picnic at the park with your family and friends. Whether you’re looking for a potluck dish for a family reunion or a delicious dessert on-the-go, you’re sure to find some yummy ideas to try in this collection of picnic recipes. This is a collection of recipes from other talented bloggers and experts in the kitchen. To view the full recipe for each, simply click on the title of the recipe and it will open in a new window for you. 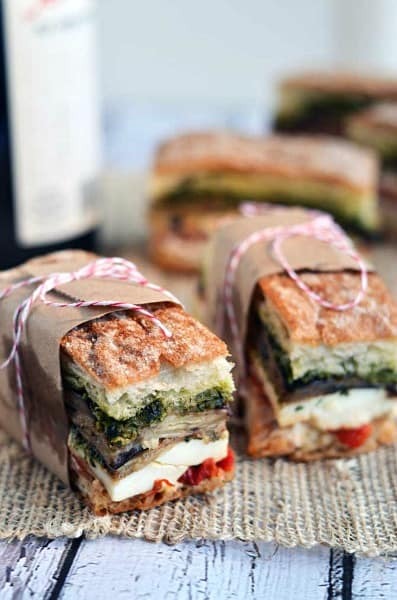 These Eggplant, Prosciutto, & Pesto Pressed Picnic Sandwiches (pictured above) by Host The Toast look so yummy and they’re packaged perfectly for a picnic. I don’t think I’ve ever tried to press a sandwich before but I love the idea – like a panini without the melted cheese. 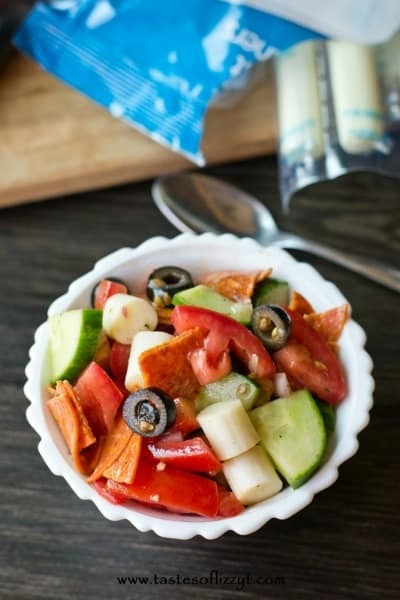 This Smoked Mozzarella Tomato Salad by Tastes of Lizzy T is like a yummy pasta salad without all the extra carbs. Go ahead and ask for seconds without the guilt! 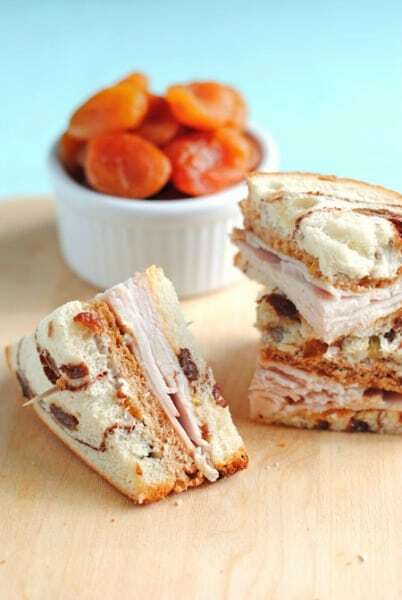 This Double Decker Apricot Turkey Sandwich by So, How’s It Taste is made on cinnamon raisin bread and includes cream cheese. Yep, this is on my list to try for sure! 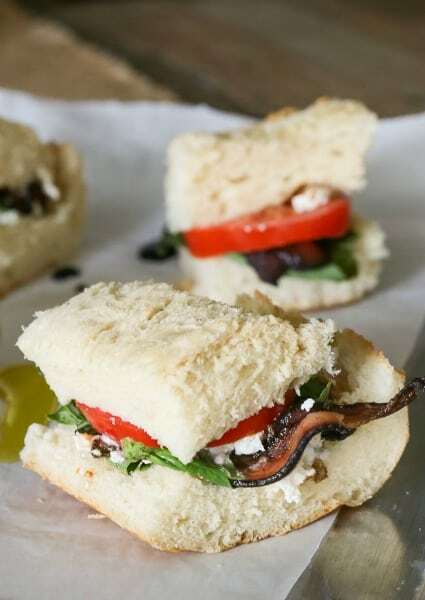 I absolutely love feta cheese so I’d pile it high on this delicious Mediterranean BLT by FashionEdible. My mom used to make a black bean and corn salsa that my family loved gobbling up. 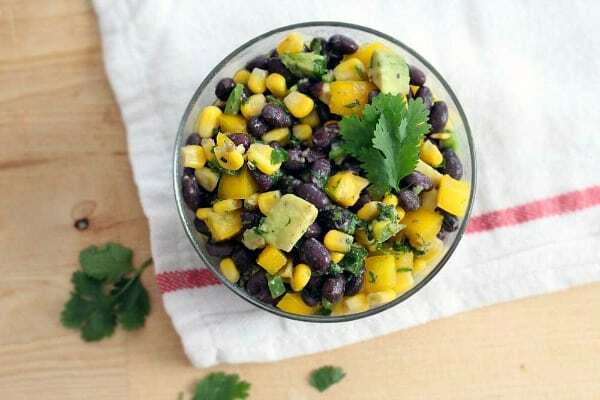 This Black Bean and Corn Salad by Bowl of Delicious looks perfect for a picnic plus it’s really easy to make for those last-minute picnic parties. 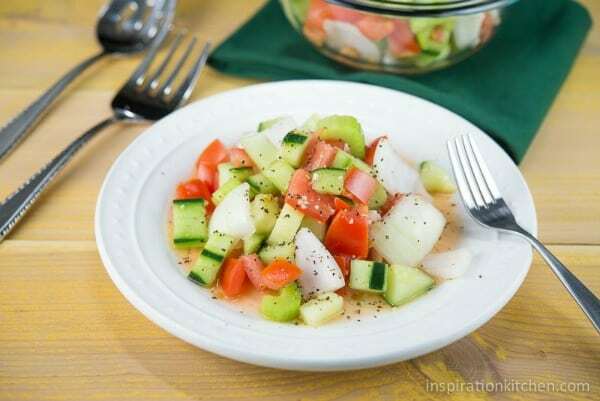 This Tomato Cucumber Onion Salad by Inspiration Kitchen is perfect for a picnic with it’s vinegar dressing. With a salad this healthy, you can save room for two desserts! 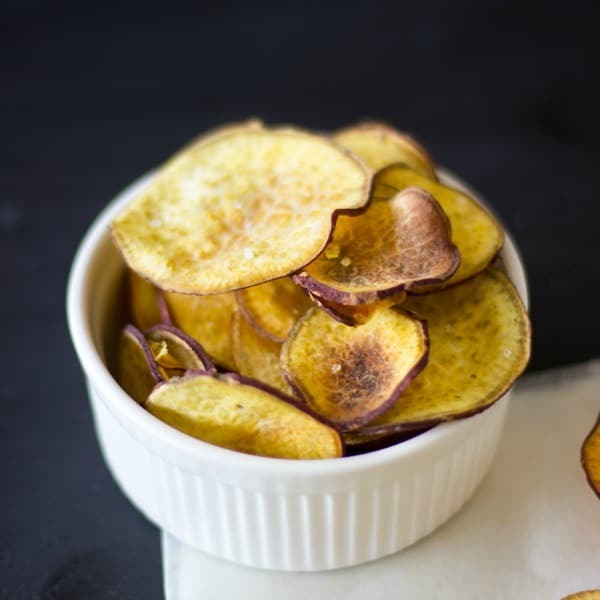 For a healthy snack option, try these Sweet Potato Chips by Jessiker Bakes. These are so much healthier than store-bought chips but I bet they are just as addictive. 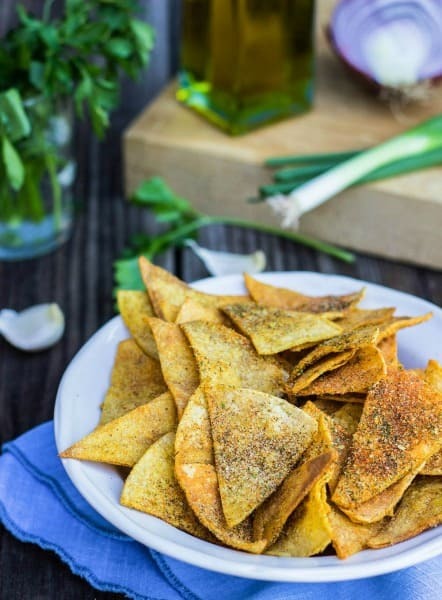 Speaking of addictive, I know I’d have to hide these Homemade Cool Ranch Doritos by She Likes Food from my husband or I wouldn’t get a chance to try them. 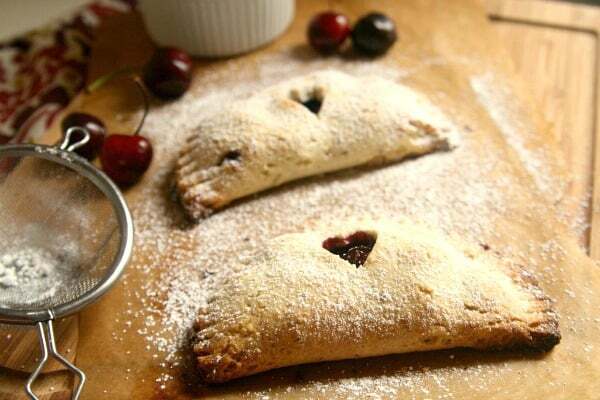 I love cherry pie and these Sour Cherry Hand Pies by The Tasty Bite look absolutely delicious! I know I wouldn’t be able to stop after one. 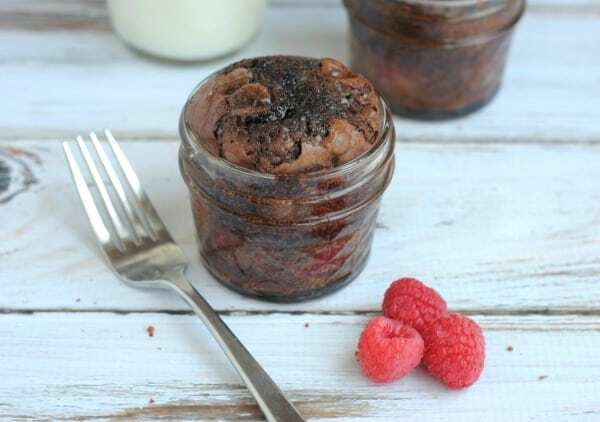 Raspberry Brownies in a Jar…need I say more? Have you ever tried a chocolate and raspberry combination? Oh, it’s so delicious! I can’t wait to try this recipe by Freebie Finding Mom. 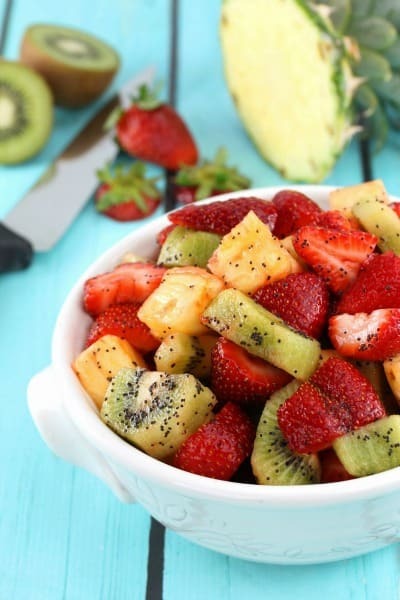 This Triple Fruit Salad with Lemon Poppy Seed Dressing by The Stay At Home Chef looks so refreshing and perfect for any summer celebration. For more delicious ideas, visit our Easy Party Food & Family Recipes page. Thanks so much for the feature! 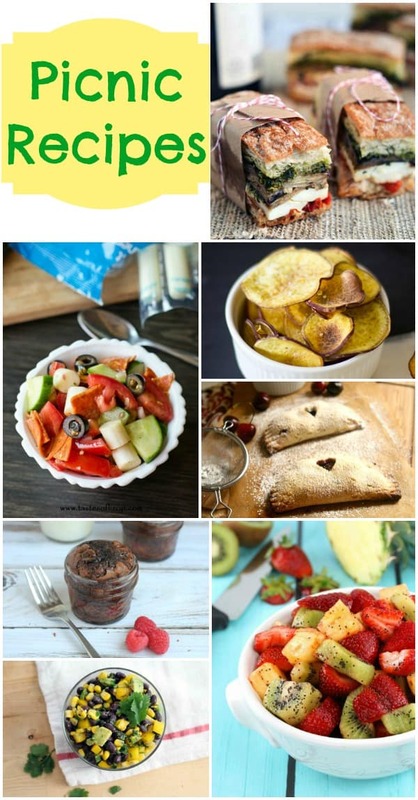 All these recipes look fantastic and perfect for a picnic! Thanks so much for including my Cool Ranch Doritos!! Everything else looks amazing! Thanks for including my fruit salad. This post made me hungry and ready for a picnic this week!